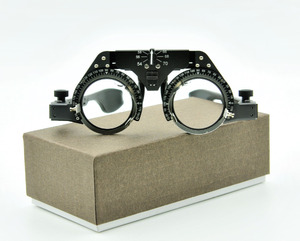 Tags: Opthalmoscope | Universal Testing Machine | Testing Machine. &bull; Sliding table accommodates two instruments and provides with 90 degrees&rsquo; rotation. 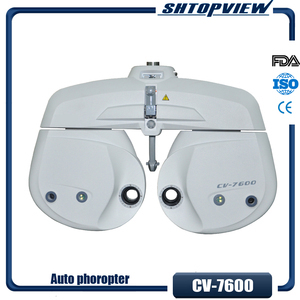 &bull; Handoperated phoropter arm can swing up and down, left and right. &bull; Reclining Chair can smoothly lift up and down, forward and backward with low noise. Both color screen eye testing machines and blue screen eye testing machines are available. 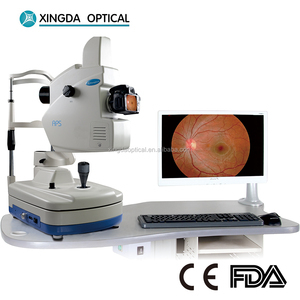 We have 5.7 inch eye testing machines and 7.0 inch eye testing machines . Reasonable freight --quick shipping charges let customers compare and choose. 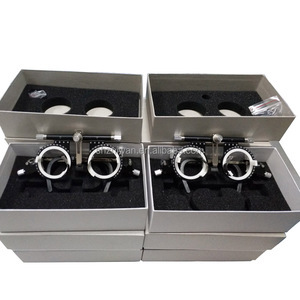 Ltd is a leading company with years experience in ophthalmic instruments export business. ) 11.who pay the custom duty 9 If refuse to pay import duties and cause the product return. our customer service dept will add you into our VIP list and get a discount in future order. The measurement results are displayed digitally,and the left eye and right eye measuring values are displayed separately. 2, Simple and rapid measuring operation, and free operation of the direct PD adjustment lever are possible. 3, When the measuring operation is finished, the auto poweroff and memory function,enable to save the power and not to lose the data. 1.Base size: 39inch x 32inch (1000mm x 800mm) 2.Tabletop size: 33inch x 16inch (840mm x 405mm) 3.Three rechargeable wells 4.Counterbalanced Refractor Arm (a) Adjustable Load Range: 8lbs to 20 lbs. (3.6Kg to 9Kg) (b) Vertical Adjustment Range: 12inch (405mm) 5. Table rotate angle: 90&ordm; 6. Chair rotate: &plusmn;90&ordm; 7. Recline angle of chair: 165&ordm; 8. 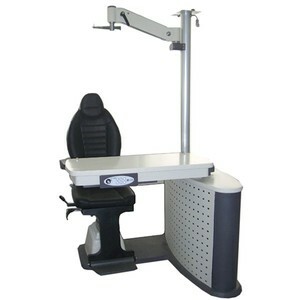 Chair height: 20inch ~ 25inch (500mm ~ 640mm) 9. Adjustable range of headrest: 4inch (100mm) 10. LED lamp: 12V. (Brightness is adjustable) 11. Voltage:110/220V. 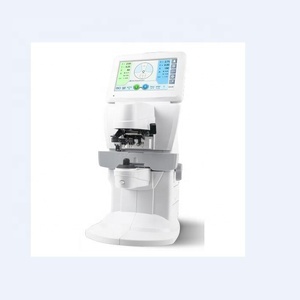 GD Medical GAP-72 eye test machine 1. : Product Name: eye test machine Model no. 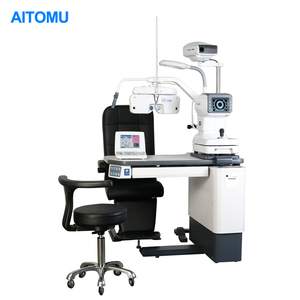 : GAP-72 eye test machine Grade: A + Feature: Our eye test machine meets the international standards with CE FDA ISO and 12 month warranty. 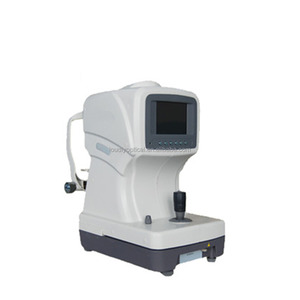 Certificate: CE ISO Lead time: 3-5 workdays if eye test machine on stock, 6-15 workdays if need to produce eye test machine. 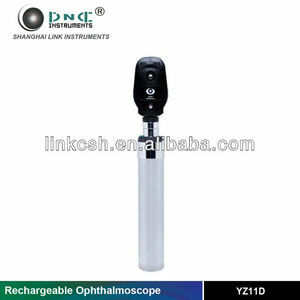 eye test machine digital portable auto refractometer/keratometer auto refractor with cheap price Product information Model No. : MSLRM01/MSLKM01 Specifications of digital auto refractometer/keratometer/auto refractor Measurement mode K/R mode Refractive and Keratometer measurement. We always believe customer satisfaction is the greatest success that is coincide with our slogan MSL, which means Medical Supplier for Long-term cooperation. Eye Test Machine has been an importent product in the Other Optics Instruments market over the past year, and it was very popular in India,United States,Pakistan,South Africa and Canada; As shown in the distribution chart, market shares of these countries are folowing: [ IN:53.76%, US:14.93%, PK:4.50%, ZA:2.23%, CA:2.10%, other:22.48%]. 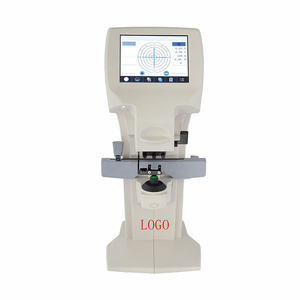 What's the trends of Eye Test Machine product's market in 2018 (Dec 2016 to Jan 2019)?we have studied one years data on online sales, global shipping, search, sourcing and requirements of following products Auto Refractometer. Frames,Here is the report.During the research period (Dec 2016 to Jan 2019), the major trends are as following.